Mika, stylised as MIKA, is a Lebanese-born English recording artist and singer-songwriter. "Popular" is a song from the Tony Award-winning musical Wicked. It is performed by the Broadway company's original Glinda, Kristin Chenoweth, on the original Broadway cast recording. The song is about a popular girl (Glinda) trying to help her unpopular roommate (Elphaba) become more popular. 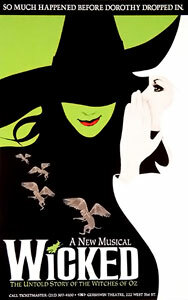 Wicked is a Broadway musical with music and lyrics by Stephen Schwartz and book by Winnie Holzman. It is based on the Gregory Maguire novel Wicked: The Life and Times of the Wicked Witch of the West, itself a retelling of the Metro-Goldwyn-Mayer film The Wizard of Oz (1939) and the classic 1900 novel, The Wonderful Wizard of Oz by L. Frank Baum. The musical is told from the perspective of the witches of the Land of Oz; its plot begins before and continues after Dorothy Gale arrives in Oz from Kansas, and includes several references to the 1939 film and Baum's novel. Wicked tells the story of two unlikely friends, Elphaba and Galinda, who struggle through opposing personalities and viewpoints, rivalry over the same love-interest, reactions to the Wizard's corrupt government, and, ultimately, Elphaba's public fall from grace. 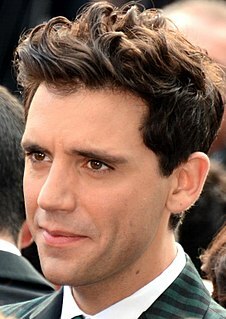 The original version of the song was made available on Mika's third studio album, The Origin of Love , and features vocals from songwriter Priscilla Renea. This version is based on the original from Wicked , and uses a very rough tempo and instrumentation, to fit in with the theme of the album. However, for the track's release as a single, Mika decided to completely change the arrangement, and create something similar to his hit single "Grace Kelly". To do this, he enlisted the help of American actress and performer Ariana Grande, rewrote some of the lyrics, changed the instrumentation and tempo, and reworked the song's structure. The music video was released on 29 April 2013, directed by Chris Marrs Piliero. It features a gothic theme, being set in a 'spooky, dark, "Addams Family"-esque high school'. The video features product placement from Sony and Mini. Mika uses a Sony Xperia Z to text an invitation for a dinner party to his popular classmates who are bullying him. This is interlaced with scenes of the two brewing a potion in a witch's cauldron and scenes of them falling victim to bullying. Mika and Grande return to Mika's mansion in his talking car, a 2013 Mini Cooper. At the dinner party, the bullies consume their drinks drugged with the potion, and turn to stone. They are then ruthlessly smashed into pieces by Mika and Grande, with the former using a candlestick and the latter using a food tray. However, the video ends with a twist:   as Mika and Grande have a toast and the former takes a sip from his drink, the video flashes back to when the two were children and Mika is seen kicking down Grande's castle made of wooden blocks. As Grande glares coldly at him, Mika subsequently turns to stone as well. The video then ends with Grande smirking evilly at the camera. The gothic theme of the video and its vengeful nature, as well as the costume worn by Mika as he and Grande are shown 'cooking', is generally considered reminiscent of the aesthetic and plot of the Stephen Sondheim musical Sweeney Todd, tying back to the musical theatre roots of the song established in modifying a song from Wicked . The goth subculture is a subculture that began in England during the early 1980s, where it developed from the audience of gothic rock, an offshoot of the post-punk genre. The name, goth subculture, derived directly from the music genre. Seminal post-punk and gothic rock artists that helped develop and shape the subculture include Siouxsie and the Banshees, The Cure, Joy Division, and Bauhaus. The goth subculture has survived much longer than others of the same era, and has continued to diversify and spread throughout the world. Its imagery and cultural proclivities indicate influences from 19th-century Gothic literature and gothic horror films. The scene is centered on music festivals, nightclubs and organized meetings, especially in Western Europe. Product placement, also known as embedded marketing, is a marketing technique where references to specific brands or products are incorporated into another work, such as a film or television program, with specific promotional intent. As of July 2018, the video has accumulated over 175 million views on Vevo. Bryon Flitsch of MTV's Buzzworthy noted that 'Popular Song' is a different view of Mika's previous efforts, stating that its "peppy beat + catchy melody + playful lyrics = perfect song to bounce around to." Furthermore, Flitsch also praised Grande's vocals in the song for being "flawless" alongside Mika's. Marques Daniels of examiner.com devise that 'Popular Song' is a song to inspire bullied and unpopular people to stand up. Daniels also praised the song for being a stand out track. "Popular Song" debuted and has since peaked at number 87 in the US Billboard Hot 100, and was certified gold in 2015 by the RIAA for selling over 500,000 copies in the country. Jason Nevins is an American songwriter, record producer and remixer, who is most widely known for his pop and dance productions, including his multi-platinum, multi-million selling production of "It's Like That" by American hip hop group Run–D.M.C. vs. Jason Nevins and his multi-million selling production of "Cruise" by Florida Georgia Line featuring Nelly. "Origin of Love" is a song by the British singer and songwriter Mika. It was released as the second single in the United Kingdom from his third studio album, The Origin of Love (2012). It was written by Mika, Nick Littlemore and Paul Steel and produced by Nick Littlemore, Greg Wells and Mika. The single was released on British radio on 3 December 2012 and its music video was posted on 15 September 2012 on YouTube and Vimeo. "Dollhouse" is an electropop song by American pop singer-songwriter Priscilla Renea from her debut album, Jukebox. Produced by Benny Blanco and Lil' Ronnie, it was released as the album's lead single in late 2009 in North America. It is an uptempo dance song with influences of neo-electro and synthpop. The main idea behind the song is relationship independence and was written as an uptempo empowerment anthem that declares independence from an insensitive, indifferent partner. "John Doe" is a song by American hip hop recording artist B.o.B, featuring guest vocals from American singer-songwriter Priscilla. It was released on December 3, 2013, as the fourth single from B.o.B's third studio album, Underground Luxury (2013). It has since peaked at number 69 on the US Billboard Hot 100 chart. 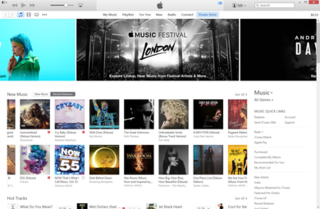 1 2 "iTunes - Music - Popular Song (feat. Ariana Grande) - Single by MIKA". Itunes.apple.com. 2013-04-29. Retrieved 2013-03-29. ↑ "New Video: Mika featuring Ariana Grande – Popular Song - MARRS ATTACKS". marrsattacks.com. Archived from the original on 4 November 2013. ↑ Depland, Michael (29 April 2013). 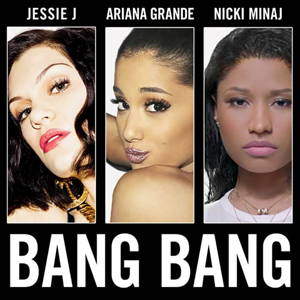 "New Video: Mika Featuring Ariana Grande, 'Popular Song'". MTV.com. Retrieved 5 May 2013. ↑ "Ariana Grande and Mika "Popular Song" Video: Revenge on Bullies!" . Retrieved 5 May 2013. ↑ "Mika - Twitter". Twitter. Retrieved 5 May 2013. ↑ "Ariana Grande And MIKA "Popular Song" Music Video". Disney Dreaming. Retrieved 5 May 2013. ↑ "Chartifacts". Australian Recording Industry Association. Archived from the original on 10 September 2013. Retrieved 10 September 2013. ↑ "Ultratop.be – Mika Feat. Ariana Grande – Popular Song" (in Dutch). Ultratip. ↑ "Ultratop.be – Mika Feat. Ariana Grande – Popular Song" (in French). Ultratip. Retrieved 10 April 2013. ↑ "Dutchcharts.nl – Mika Feat. Ariana Grande – Popular Song" (in Dutch). Single Top 100. ↑ "Airplay 100, Podcast (03 Nov), cca. minute 90" (in Romanian). Kiss FM (Romania). ↑ "South Korea Gaon International Chart (Gaon Chart)". Gaon Chart . Retrieved 14 September 2017. ↑ "MIKA Chart History (Hot 100)". Billboard. ↑ "American single certifications – Mika – Popular Song". 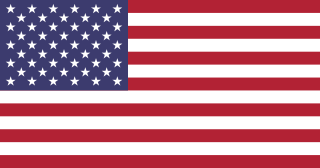 Recording Industry Association of America . Retrieved 27 February 2015. If necessary, click Advanced, then click Format, then select Single, then click SEARCH.